Dirty Fighters has over 50 members mostly from Shepparton and surrounds and are still attracting newcomers. They welcome all types who are interested in obstacle racing (whether fit or not). Members have to either have ran at least one obstacle race or be committed to their first one. Dirty Fighters have sent a team to every Victorian obstacle race so far and a number of interstate races. Geelong Obstacle Racing Club (GORC) was formed in early 2013. A small committee was set up and our aim was to get as many people in the Geelong area, involved in obstacle racing as possible. We have a Facebook page and are working on a website. Membership is free and most of our training sessions are free. Training sessions are posted on our Facebook page. We have over 50 members with the number growing each week. If you see a "GORCA" (Geelong Obstacle Racing Athlete) at a race, come and say gday. Obstacle Racing WA is a totally independent online community for Westies who want to keep tabs on what's happening over the left-hand side of the Nullarbor. As they are not aligned with any races or commercial organisations (including Obstacle Racers Australia) they can provide Western Australian Obstacle Racers with a kickass objective online community for finding people to race or train with and generally being a central focal point for Westies who wanna get muddy! CQ Obstacle Course Racers is a group of keen obstacle course folk from around the Rockhampton and Capricorn Coast region of Queensland. They've set up a Facebook group where Central Queensland obstacle racing enthusiasts alredy actively participating or interested in getting into obstacle course races can get together to share news, info, tips, and thoughts, and maybe organise road trips down the Bruce Highway to races in SE QLD or beyond. SA Obs Racers is a community that South Australian obstacle racing enthusiasts can build together. No joining fees. It's mostly for the purposes of training together, travelling to events together (both in SA and interstate) and to talk through any concerns we might have about certain obstacles or events in South Australia. Feel free to join SA Obs Racers and add your friends - no matter if they're beginner obstacle racers or well-seasoned. Mud Guts and Carnage is a group of keen obstacle racers from the NSW/VIC border at Albury-Wodonga. They get together and train at home, then organise roadtrips up or down the Hume Highway to partake in events all over the place. If you're from the border and looking to make friends with others who share your love of climbing walls and cargo nets and crawling through mud, look 'em up and drop them a line. As the name implies, Queensland Spartans is an online association of Queenslanders who love obstacle racing in general and Spartan Races in particular. They are not affiliated with Spartan Race Australia, but love and live the AROO life in a big way. 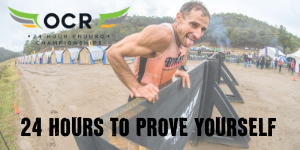 List Your Obstacle Racing Club here for FREE! If you are an independent Australian obstacle racing club or even just an unofficial group who can offer obstacle racers in your area something, your association should be listed on here! Contact us today to let us know about you!